A family learning centre in Lewisham could close next month, due to 20 per cent cuts in the Council’s Children’s Centre budget. The Centre has provided services to families in the community for over 20 years, earning positive reviews and a strong reputation. Services offered by the centre include advice and support and play sessions, as well as after-school workshops and holiday activities for families. They are also currently engaged in developmental work with local primary schools on extended services. Every week St. James Family Centre runs seven play sessions for parents and children, one advice and drop-in project and a one-to-one counselling service. Most of the families using these services are non-native speakers in the area and get family counselling to help them integrate with the community. The council made Rush aware of the risk of closure in December. She found out last week that the centre was on the council’s list of services likely to be slashed, with closure possibly as early as the end of March. 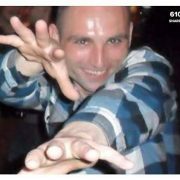 “If this centre shuts down families and children who are new to the area are going to be the most affected as they rely on us to help them find out how to access services from the community”, Rush said. The proposal will be discussed during the council meeting with Mayor Steve Bullock on Thursday 17th February, though the council declined to comment until a decision has been taken. 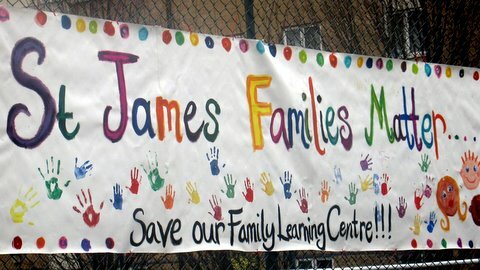 Representatives of St. James Family Centre are taking part in this Saturday’s anti-cuts demonstrations, starting from Lewisham Town Hall at 12:30 on Saturday 19th February.